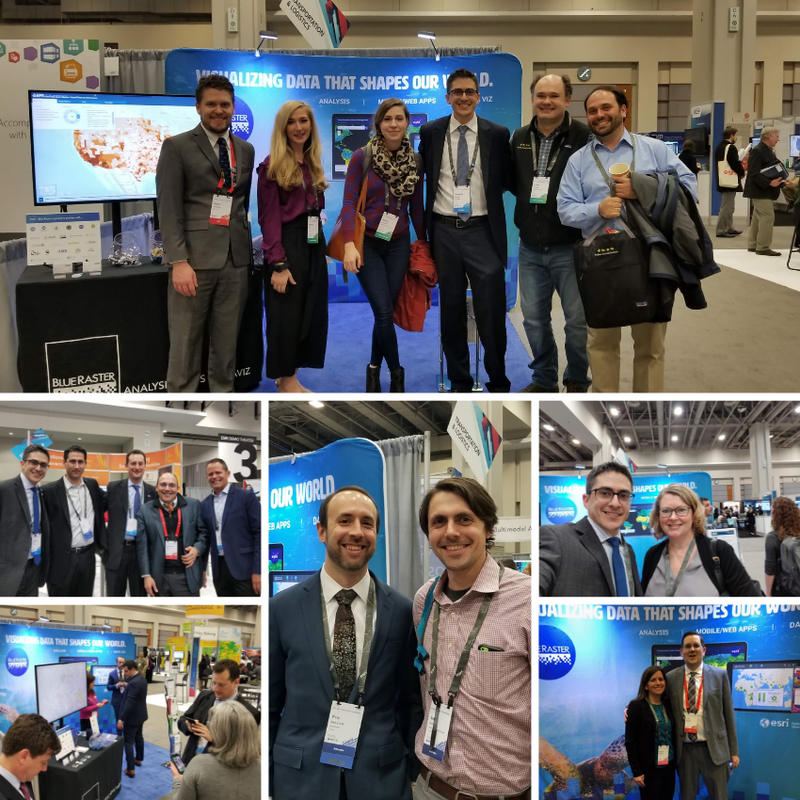 The Blue Raster team took part in the annual Esri FedGIS conference in Washington, DC. The conference is an opportunity for government professionals to discuss best practices, participate in hands-on workshops, and connect with subject matter experts from across the country. In addition, the conference also features thought leaders from several organizations giving presentations on their uses of location intelligence. We had the opportunity to meet and talk with Esri staff and attendees. In addition, our team members attended sessions and met with colleagues and clients. Blue Raster is proud and excited to be recognized as the 2019 Partner of the Year. 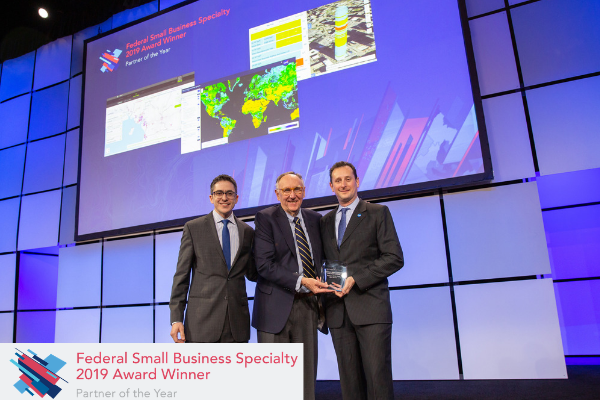 This award is presented as part of the Esri Federal Small Business Specialty (FSBS) program. It recognizes small-business partners who have demonstrated their “commitment to helping federal institutions become more effective and resilient through location intelligence”. The award presentation at FedGIS featured our work with the NASA Transboundary Water Management Data Explorer. This project visualizes hydrologic data including international coverage for precipitation, atmospheric flow, soil moisture, population, and land cover. We look forward to continuing to connect with US Federal Government customers and other small business and providing new and creative Esri solutions.